PHOTOS: Emergency Services liaison Committeeman Meir Lichtenstein and other officials last night honored several individuals during the unveiling of the newly renovated Lakewood First Aid Squad quarters. 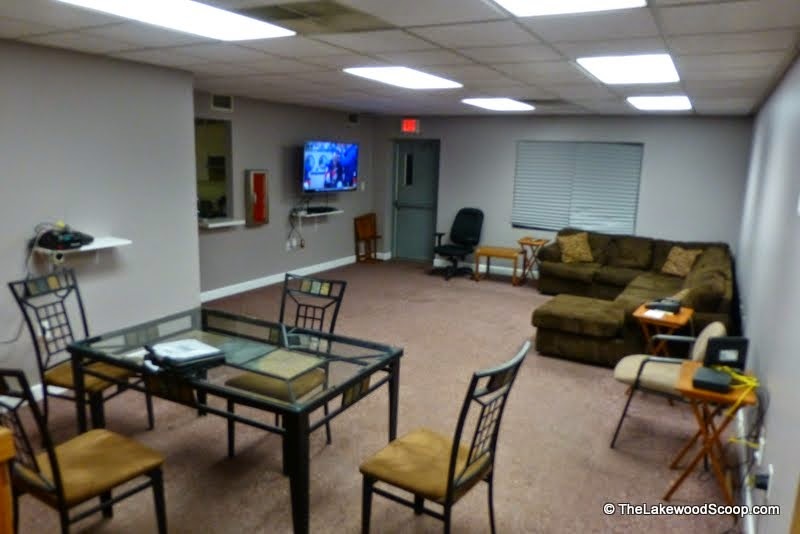 The quarters, located within the OEM building, was recently renovated by several volunteers from the police department, Lakewood First Aid and others, at no cost to the taxpayers. The township officials last night honored the following individuals by presenting them with a plaque. Police Officers Alex Guzman and Erik Menck, his father Walter Menck, Lakewood EMS members Stacy Spiedel and Travis Veth, and Lakewood First Aid members Ace Klughaupt, Meyer Rosenbaum, and Captain Ralph Lasry, along with the squads building chairman Bentzi Inzelbuch. Also recognized, was a local resident, Yehuda Rotberg, for his contribution.